← Who’s on the mic? Jumping on MadRocketScientist’s toes here, because, damn it, I live just a few miles from the National Ignition Facility. Takeaway from this article if you read far enough into it is that they’ve already broken the 1 megajoule limit and are going to be ramping up to 1.2 megajoules starting in May. Ignition should happen this year. In college I worked on the line in my uncle’s iron rebar factory — the same one that supplied iron and steel for the NIF. He got to go to the opening celebrations last year, and reports that it’s basically like walking around in the most amazing Star Trek engine room you could imagine. 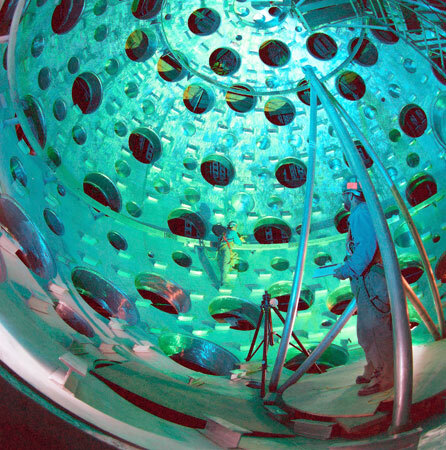 I’ve toured a handful of Nuclear and Plasma Reactors in my time, but the NIF is just cool! I’d love to tour that facility and I hope they succeed.